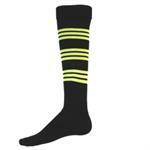 Florescent Warrior Socks - great for soccer, baseball, softball, volleyball, cheerleading & all sports! 88% Stretch Filament Yarn, 11% Acrylic, 1% Spandex. 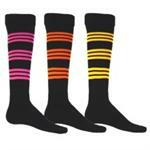 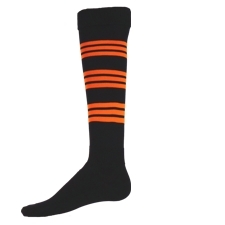 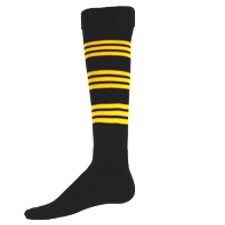 Black socks striped in 5 florescent colors!